Dates provide a good source of fiber, phytonutrients, and antioxidants. They contain more vitamins and minerals compared to other common fruits, and are considered a rich source of dietary minerals. In addition, dates are one of the highest ranked sources of potassium, coming in at number five when compared to all potassium food sources. 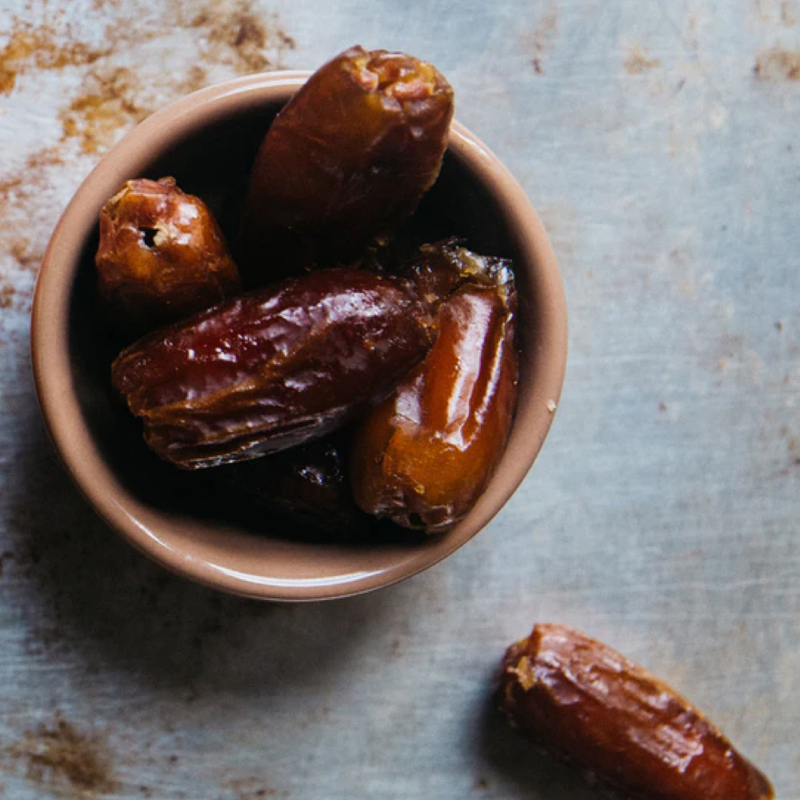 Out of two common types of dates, Medjool and Halawi, it appears that the smaller and sweeter Halawi dates are healthier. When compared ounce-for-ounce, dates have about five times more calories than fresh fruit, however eating dates on a daily basis does not result in weight gain. In fact, those who eat one tablespoon or more of dried fruit a day, including dates, tend to be less overweight, have slimmer waists, and less abdominal fat. Even though dates are about eighty percent sugar by weight, this whole food has a low glycemic index and offers a variety of health benefits. Date consumption may lower the risk of stroke, and result in improvements in triglyceride and antioxidant stress levels, without adverse effects on blood sugar or weight. Date sugar, considered to be one of the healthiest sweeteners, is made by pulverizing whole dates into a powder. Date sugar is rich in fiber and has a thickening effect when used in cooking. Both whole dates and date sugar serve as healthy sweetener alternatives that may be used in place of processed sugars in baking. Image Credit: Rachael Gorjestani / Unsplash. This image has been modified.